TOTOWA, NEW JERSEY–DECEMBER 20, 2018 — Canare, a world leader in developing, manufacturing, and supplying audio and video cables, connectors, patchbays and fiber-optic products for the broadcast industry, announces the immediate availability of three new Micro BNC Connectors. The company has developed these solutions in recognition of the growing implementation of smaller racks and subsequent need for increased connections within the broadcast industry. 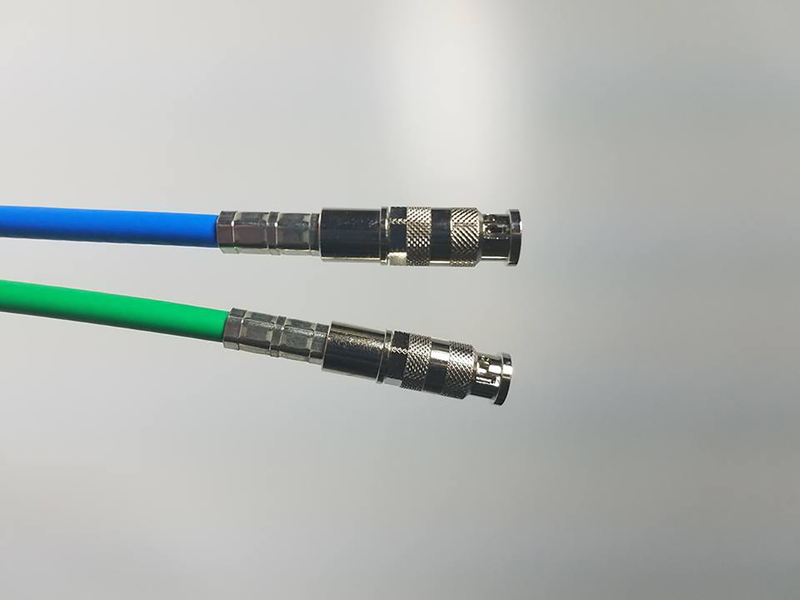 Among the new connectors is the HBCP-D25HD, for use with Canare’s L-2.5CHD cable. This solution features a solid center conductor and is used for 3GSDI to SD transmissions. The rugged cable makes it ideally suited to withstand the rigors of field production work, where it might be more harshly treated by camera operators, techs and directors alike. Canare’s new HBCP-D25HW connector is intended for the company’s L-2.5CHWS cable, which has a stranded center conductor. This flexible solution is perfect for studio applications as it is easily concealed due to its small-form-factor. Lastly, the company’s new HBCP-D33UHD is compatible with its L-3.3CUHD 12G-SDI cable, which is part of the company’s original 12GHz lineup. This cable features a solid center conductor, with a copper foil and copper braided shield. It is well-suited for both studio and rack-mount purposes and provides up to 12 meters of full HD signal. In addition to the series of 75-ohm connectors mentioned above, Canare can also build complete custom-length assemblies upon request. Crimp tools are readily available and the offerings above are compatible with existing removal tools. Canare is a world leader in developing, manufacturing, and providing audio and video cables, connectors, patchbays and fiber-optic products for the television broadcast industry and the professional A/V market. Broadcast engineers, sound technicians, A/V facility integrators, design consultants and many leading OEMs rely on Canare’s product, proven reliability and top-notch customer service. For more information about Canare, please email: [email protected] or visit www.canare.com.